In the past months there have been a number of articles here on mokacoding regarding testing, like "Enhancing XCTest test cases with Nimble matchers", "Xcode 7 UI testing, a first look", and "Better tests with Specta". It is clear that I'm a big TDD fan boy, and if we meet in person I'll probably try to convert you. In this post though I will introduce another use for unit and acceptance tests that you might not have considered yet. 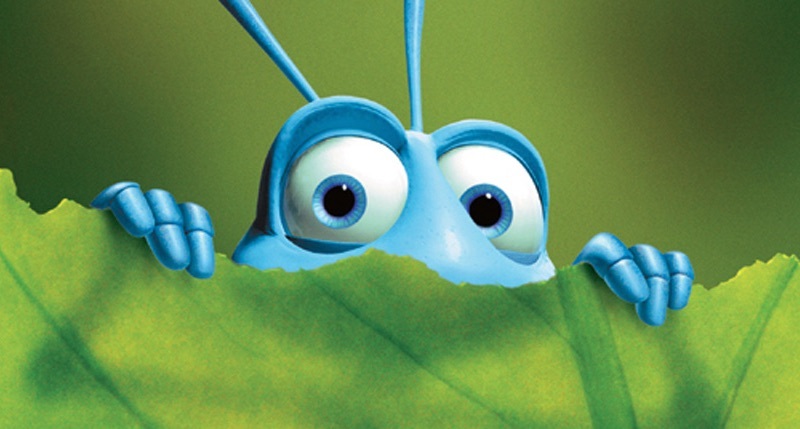 Unit and acceptance tests can be used as a tool to fix bug. It can sometimes be difficult to find a place where to start writing tests when developing new code, but it certainly isn't when there a bug. You already know what is wrong. Speaking in red, green, refactor you already have a red scenario to be made green. Let's take Simple Notes a demo app build for the occasion. In its mvp form Simple Notes is a read only notes app, you can see a list of notes, and tap on one to see its details. The product owner is clearly a bit crazy. Simple Notes has two known bugs, see this commit, let's see how we can fix them in a TDD way. There is an issue in Simple Notes' main screen, the notes are not in any particular order, while the spec says that they should be ordered by updated date, with the most recent first. Let's write a unit test that we'll have to make green in order to fix this bug. But how? Well first of all we need to find the code responsible for providing the data to the note table view. Turns out that there is a NotesListDataSource object that NotesListViewController uses in its implementation of the UITableViewDataSource methods. Now if you run the tests, or got to this commit, you'll see that they fail. Making the test pass, and therefore fixing the bug is as easy as adding a sort step when initializing the data source. 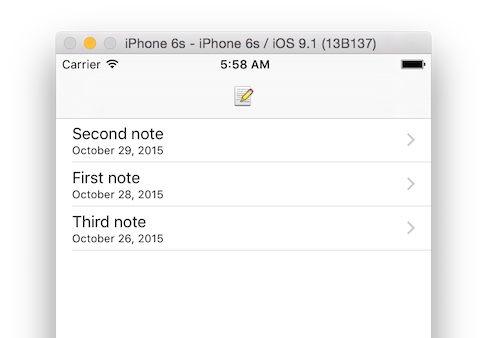 If you run Simple Notes you'll notice that nothing happens when selecting a note. That is outrageous! The expected behaviour is for the app to transition to a screen showing the details of the note. Note that because the app is currently broken I had to write that test manually, rather then recording it. But that's ok, after playing around with the UI testing APIs you will get familiar with them and writing acceptance test will be a smooth experience. Also note that the approach used in that test is to assert the presence of an accessibility element with a certain identifier. That is a simple trick I use that decouples tests for the user navigation in the app from the content on UI itself. In fact, the accessibility identifier is set on the view controller's main view. The focus of the test is not on the content of the screen, but on the presence of the screen itself. Finally, it is always better to assert for the value of accessibilityIdentifier rather than accessibilityLabel. These two bugs in Simple Notes were just examples, but not too far from what real world development looks like. And the same goes for the way to fix them: identify what's wrong, write a failing test, write code to make the test pass. Not only this process is great to get into the TDD mindset, but it also produces a suite of regression tests, that will make sure you won't ship the same bug twice. I find that developing by writing failing tests then making them pass a very pleasurable experience, almost like a game made of little quests. Plus is a way to keep the system simple, writing long tests is a smell of a too complex design that more often than not can be simplified. What is your opinion on this? Have you ever tried to write a test for an existing bug? I'd like to hear from you, ping me on Twitter @mokagio, leave a comment below, and don't forget to subscribe to the newsletter.